He left the troupe in 1942 and, as Marc Platt, alternated between the New York stage and the Hollywood soundstage for many years. On Broadway, he was part of the original 1943 cast of the Rogers & Hammerstein classic, Oklahoma!, creating the role of "Dream Curly." 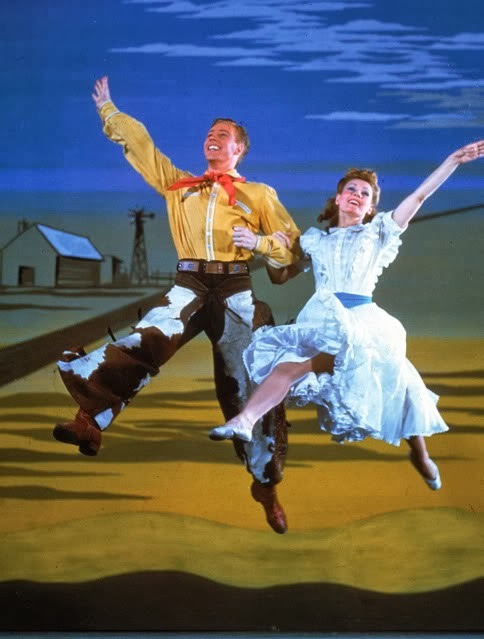 Marc Platt and Katharine Sergava in the original Broadway production of Oklahoma! 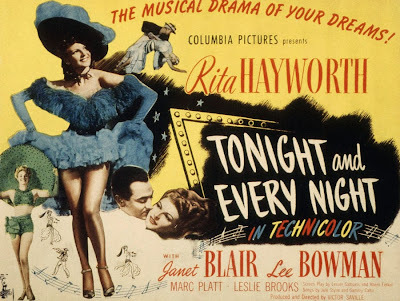 In 1945, he co-starred with Rita Hayworth and Janet Blair in the Technicolor musical, Tonight and Every Night, but the film role for which he is best known came nine years later with Stanley Donen's Seven Brides for Seven Brothers (1954). Platt portrayed the fourth of the brawny "seven brothers," Daniel Pontipee. 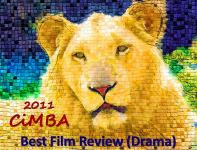 A year later, in 1955, he would appear in a speaking and dancing role in Fred Zinnemann's film adaptation of Oklahoma! starring Shirley Jones and Gordon MacRae. Marc Platt would enjoy a multifaceted career. He acted on series TV from the 1950s into the early 1990s, served as dance director for Radio City Music Hall and went on to open his own dance studio in Florida, with his wife, dancer Jane Goodall. At 91, Platt appeared as himself in the enchanting 2005 documentary, Ballets Russes, a film that traces the beginnings of the original Ballets Russes under Serge Diaghelev through its transformation, following Diaghelev's death in 1929, into the Ballet Russe de Monte Carlo under Léonide Massine. Many of the company's dancers - in their 70s, 80s and 90s in 2005 - including Platt, are interviewed, and performance footage illustrates the company's history. As of this writing, Mr. Platt will have at least one more credit coming his way. He is set to appear in a documentary now in post-production, Broadway: Beyond the Golden Age, a sequel to Broadway: The Golden Age (2003). What a lovely and informative post and how wonderful it is that Mr. Platt is still with us to celebrate. Always did like that brother Dan. According to the reporter dispatched by the San Francisco Chronicle to cover his birthday party, Mr. Platt was "still the biggest flirt in the room" and was completely at home "onstage" once more. Thanks so much for passing along the good news of Mr. Platt's long and productive life. 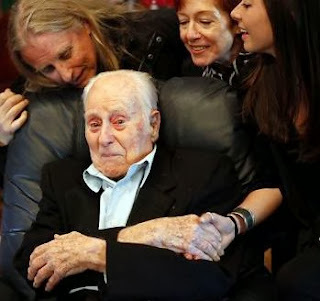 Mr. Platt might well attribute his long years to the advice he gave to the reporter who covered his birthday party, "Always do what you love for as long as you can." Of himself he said, "I'm always a dancer." While it's been a sad couple of weeks bidding goodbye to several beloved stars, it's a joy to learn that Mr. Platt is still with us---and he appears to be surrounded by loved ones as he celebrates his centennial birthday. Thanks for this great piece, which helps us get to know Mr. Platt a bit better. That was fascinating to read. So glad he is still with us. Thanks, Kevin, seems he's not only still with us but also still the life of the party. What a terrific post. With all the recent deaths of so many greats this is a joyous tribute to a survivor! Here's hoping you and your family have a wonderful and Merry Christmas and a Happy New Year! Thank you, John, wishing you and yours the best Christmas and happiest New Year ever! Mr. Plat must have been quite a dancer indeed to join the Ballet Russe de Monte Carlo- a remarkable journey from Pasadena. Thank you for bringing him and his long life to our attention Lady Eve.I'll think of him whenever I see that wonderful dance scene in Seven Brides for Seven Brothers. 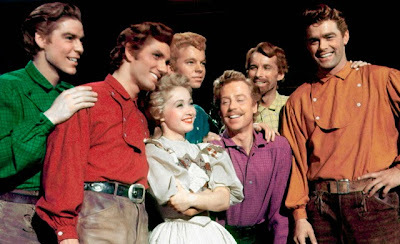 Christian, I recorded "Seven Brides" on TCM this morning just to take a closer look at Mr. Platt. 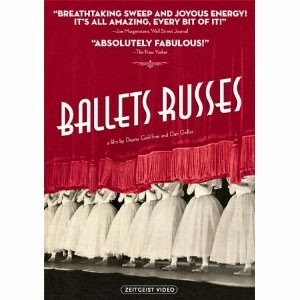 The excellent "Ballets Russes" documentary features clips of Mr. Platt as a young dancer, when he was part of the company.